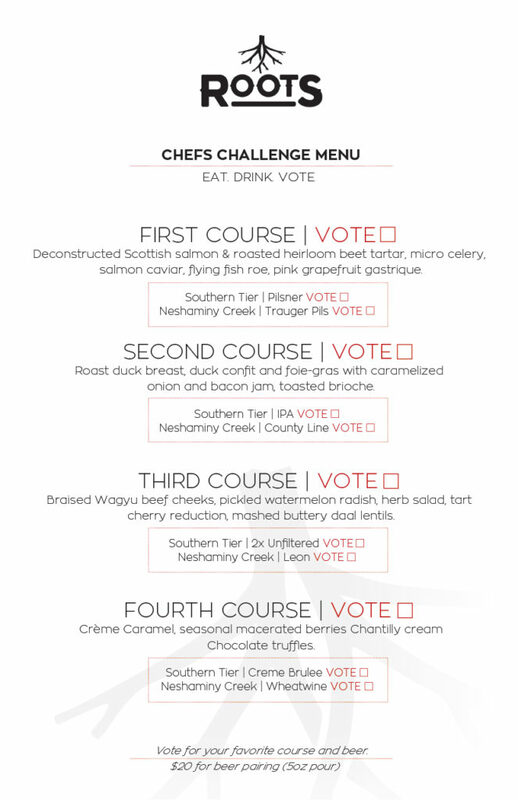 Here is our full battle menu with beer pairings from Neshaminy Creek Brewing & Southern Tier Brewing Company. 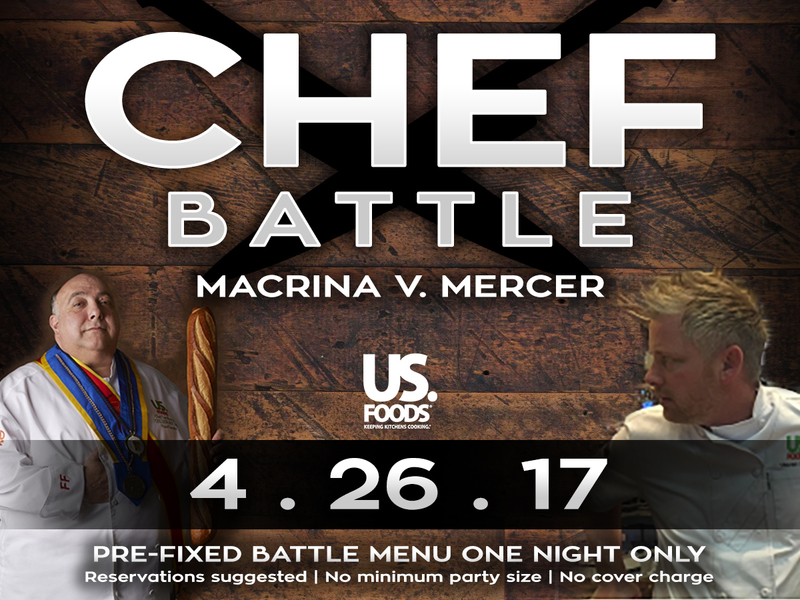 Some reservations are still available for this one time only event. Call (484) 681-9636 today! Steve was born and raised in the southwest of England on a diet of sun, sand and his mothers home cooking. This is where his passion for food all started. After spending time working at some of the south of England’s best hotels, like Gidleigh Park and the Rising sun, all while attending college for restaurant operations, Steve made the move to the U.S. After a stint as executive chef of the Radisson Lackawanna station hotel in Pennsylvania and executive sous chef at the famed Skytop Lodge in the Pocono Mountains, Steve made the move to U.S Foods, one of the nation’s largest food service companies, where he currently serves as their Restaurant operations consultant. Steve gets to travel the tri-state area helping restaurants and restaurant owners work on improving food quality and service standards. Of course, his two children, 16 and 13, appreciate the fact he is home a little more often and that they can enjoy the fresh seafood he loves to cook… all while enjoying their favorite pastime….boating in and around the area of Barnegat Bay, New Jersey. Steve and his family currently live in the Endless Mountains in northeast Pennsylvania. Thomas “Tom” Macrina is a Certified Executive Chef® (CEC®), Certified Culinary Administrator® (CCA®) and a member of the American Academy of Chefs® (AAC®), the honor society of the American Culinary Federation, Inc. (ACF). He is executive chef/product specialist manager for US Foods, Philadelphia Division, Philadelphia, a position he assumed in 2011. 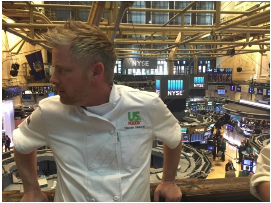 In June 2013,he was selected as a Food Fanatics™ Chef for the company. Macrina graduated from Norristown Area High School and the culinary-arts program at the Center for Technical Studies, both of Norristown, Pa., in 1974. He received his Associate of Science degree, with honors, from The Culinary Institute of America, Hyde Park, N.Y., in 1976. His culinary career began in 1977 as executive chef at the Downingtown Inn Resort, Downingtown, Pa. In 1980, he accepted the position of executive chef at the Clayton Plaza Hotel, St. Louis, until 1981, when he was named corporate executive chef of Tabas Enterprises, Philadelphia. He served in this role from 1981 to 1997 and oversaw operations for eight properties. In 1997, he joined The Desmond Hotel and Conference Center, Malvern, Pa., as executive chef, a position he held until late 2011 when he joined US Foods. Giving back to his local community is natural for Macrina, whether it is cooking, donating food or sharing his expertise. Some of his charitable work includes: Home of the Sparrow culinary chair, 2004-2012; Salvation Army of Greater Philadelphia advisory board member, 2000-2006, and Salvation Army national board of directors, 2005; March of Dimes Pennsylvania Chapter Star Chefs of Philadelphia committee member, 1996-2004; and Red Cross of Southeastern Pennsylvania advisory board member, 2001-2003. Advancing the culinary industry, fostering the talents of culinary students, and helping his local community are three values important to Macrina, as noted in his tireless volunteer work. His dedication to developing the skills of culinary students has been tireless. Throughout his career, Macrina has received numerous accolades for his dedication and contributions to the culinary industry, as well as his volunteer work. His most notable achievements include: ACF Chicago Chefs of Cuisine Inc.’s Most Honored Chef, 2011; AAC Chair’s Medal, 2007; ACF President’s Medallions, 2000, 2002, 2005 and 2006; ACF National Chef Professionalism Award, 2005; March of Dimes Guy Prepberin Award, 2005; Salvation Army’s Service Award, 2004; and ACF Award for Culinary Excellence, 2003. In addition, he was inducted into the following prestigious culinary organizations: Disciples of Escoffier, 2006; Honorable Order of the Golden Toque, 2001; and AAC, 1988. Macrina and his wife Catherine are the parents of four children and grandparents of three. He enjoys the time he spends with them, especially when it involves cooking in the kitchen. More details on the way but this will be awesome!